of Saint Francis of Assisi? Come and see how Secular Franciscans live joyfully In the world & celebrate God’s creation. 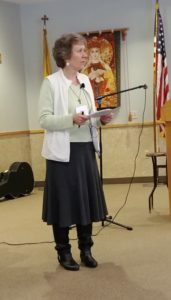 The Secular Franciscan Order (SFO) is a branch of the world-wide Franciscan Family. We are single and married. Some of us are diocesan clergy. We work, worship and play in the community where we live. The SFO was established by St. Francis of Assisi more than 800 years ago. Our purpose is to bring the gospel to life where we live and where we work. We look for practical ways to embrace the gospel in our lives and try to help others to do likewise. 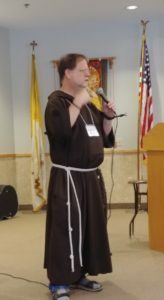 A local group of Secular Franciscans is probably meeting near you. Please use this map to locate your closest fraternity or feel free to contact one of the members of our Regional Executive Council who will be happy to put you in touch with a Fraternity near you. 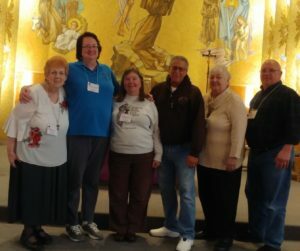 All local Secular Franciscan fraternities in the United States are organized into one of 30 regions. The Saint Katharine Drexel Region includes parts of Pennsylvania, New Jersey, and Delaware. There are currently 27 local fraternities in the region. 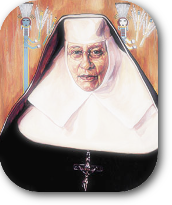 We are under the patronage of St. Katharine Drexel, who was a Secular Franciscan and whose feast we celebrate on March 3rd. I am humbled to have been elected to serve you as St. Katharine Drexel Region director of formation. I would like to continue the practice of my predecessor, our brother Ted Bienkowski, OFS, by posting something for formation on a monthly basis. My format will be a PDF file that can be printed out (two sides of one sheet) and used for individual reflection or as a discussion piece for ongoing formation in a fraternity meeting or similar setting. This month, I consider how early 13th century penitents influenced St. Francis and how penance became the founding charism of our own Secular Franciscan Order. I welcome your questions, comments or suggestions. Thank you! One of the easiest ways to misunderstand Saint Francis is to overlook how much he was a man of his times influenced by the environments in which he found himself: family, city, culture, and church (including one of the great church councils). In the Secular Franciscan Ceremony of Introduction and Welcome (1), the person who is being introduced to the fraternity is handed a biography of Saint Francis by the formation director and told “to read it carefully, in order to learn how to live the gospel life of our Lord Jesus Christ by following [Francis’s] example.” One hopes if it is the first biography of the saint a potential inquirer reads, it will not be the last. There is always more to learn about his remarkable witness and the world in which he lived. If we attend to this history, we readily appreciate that Francis’s own message of penance and conversion often fell upon fertile soil ready to receive it. Many Catholics of his day were ardent in their desire to imagine a way to live the gospel life in their own time and place and to do so literally. It is no wonder that the example of Francis and his brothers inspired so many. Francis went on to found the Order of Lesser Brothers—the Friars Minor—but in the Franciscan movement, penance would always remain the fundamental charism of the Brothers and Sisters of Penance, the progenitors of the Third Order and, by extension, of our own Secular Franciscan Order. Penance, especially in the form of joyful, ongoing conversion, retains a central place in the lives of Secular Franciscans to this day. As individuals and in fraternity we should seek ways to embody the love and zeal of those early Franciscan penitents. United by their vocation as “brothers and sisters of penance” and motivated by the dynamic power of the gospel, let them conform their thoughts and deeds to those of Christ by means of that radical interior change which the gospel calls “conversion.” Human frailty makes it necessary that this conversion be carried out daily. On this road to renewal the sacrament of reconciliation is the privileged sign of the Father’s mercy and the source of grace. (Rule, 7) Secular Franciscans, called in earlier times “the brothers and sisters of penance,” propose to live in the spirit of continual conversion. 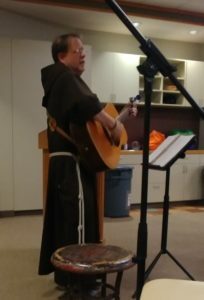 Some means to cultivate this characteristic of the Franciscan vocation, individually and in fraternity, are: listening to and celebrating the Word of God; review of life; spiritual retreats; the help of a spiritual adviser, and penitential celebrations. They should approach the Sacrament of Reconciliation frequently and participate in the communal celebration of it, whether in the fraternity, or with the whole people of God. 1. “The term Penance in Franciscanism is equivalent to the biblical meaning of metanoia, understood as an intimate conversion of the heart to God, as a continuous state of being. It is not a question of doing penance but of being penitent.”(7) What are some of our present-day characteristics of being penitent? 2. During his time as a penitent, Francis was formed in part through the influence of others. Who has been influential in your journey of penance? (1) Ritual of the Secular Franciscan Order, 10. (2) Robert M. Stewart, OFM, “De Illis Qui Faciunt Penitentiam” The Rule of the Secular Franciscan Order: Origins, Development, Interpretation, Instituto Storico Dei Cappuccini, 1991, 120. (3) Raffaele Pazzelli, St. Francis and the Third Order, The Franciscan and pre-Franciscan Penitential Movement, Franciscan Herald Press, Chicago, 1989, 118. (7) Lino Temperini,TOR, Penitential Spirituality in the Franciscan Sources, Franciscan Publications, July 1983, 41. Thanks to our sister, Teresa Redder, OSF, for sharing this great video. Take a minute and watch! All peace and good be with you! May the peace and joy of our seraphic Father be yours in ever greater abundance as we journey with Saint Francis, Saint Clare and the Franciscan family in imitating Jesus and Mary! As we prepare for our Regional Chapter of Elections this coming March, I ask you all to be praying for and seeking the wisdom and guidance of the Holy Spirit and that those called to serve the next three years be filled with the grace and wisdom of God! In my last edition of “Thoughts from your Regional Formation Director” we started a discussion on the wonderful Feast of Epiphany. I asked you to reflect on this incredible feast and what it meant to us as Franciscans. I also gave you some scripture passages to reflect on as I did sections of the Catechism of the Catholic Church and our Rule. This month, I want to continue that theme even though Epiphany is long past. 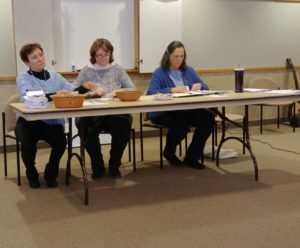 Although, for those of us who see the church’s calendar as a continuation of our faith and a part of our ongoing conversion, it is not past, it is just getting ready to come around again in eleven months! This month I would like to focus more on the idea that we, as Catholics, but especially as Franciscans are called to be “Epiphany” to the world around us. Remember, the word and concept of Epiphany is to reveal or to be revelation, to shed light into the world around us and to live the gospel so clearly that others will see Jesus in you and be attracted to that light and vocation. In Rule 10, we are called to “witness to Him.” What does that word witness mean? Simply put, it means to testify. But for us it means not only in word, but in actions also. Here, too, we are called to be a light and witness for Christ, to be epiphany, not instead of Christ, but pointing to Christ as the solution to the world’s issues. Next month we will finish up on this topic and discuss examples of what it means to be epiphany! 1 SFO Rule (Prologue) Exhortation of Saint Francis to the Brothers and Sisters in Penance In the name of the Lord!